The above photo is the famous German Cannon from World War I that was situated on the lawn at VICTORY HIGH SCHOOL for over twenty years. It was installed so as to look like it was aimed at Washington-Irving High School. It was removed for a county wide scrap metal drive in the summer of 1943. 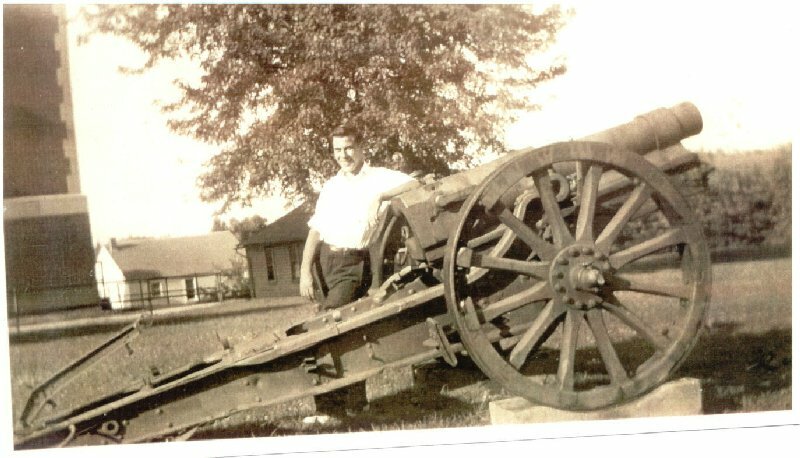 The student leaning against the cannon is Ralph "Shorty" Howell, Class of 1945.